Oh, and the twenty grand does not cover your trip to and back from this unique retreat – that will run you and your fellow guests closer to half a million dollars. 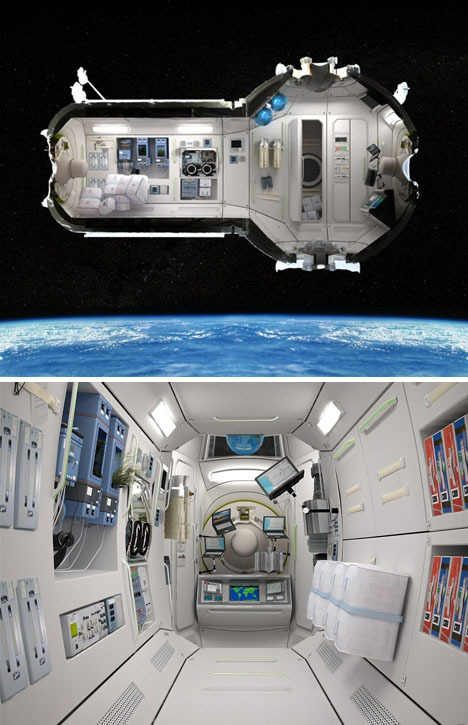 While the accommodations may not be spacious by Earth standards, they are certainly luxurious compared to the International Space Station. 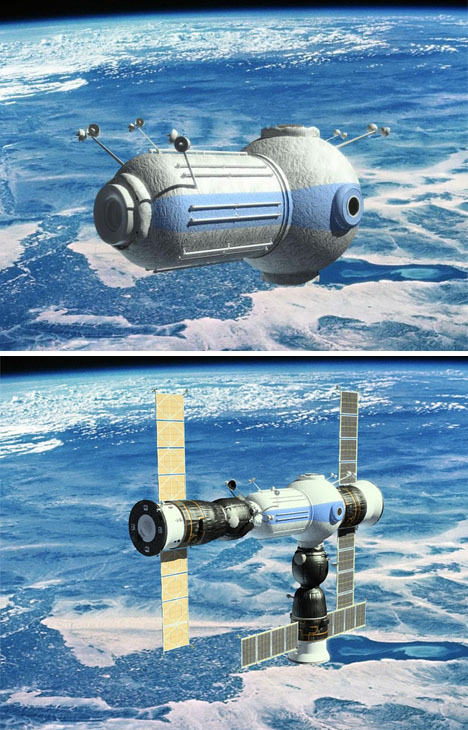 Set to launch as soon as 2016, this commercial resort is the brainchild of the Russian corporation Orbital Technologies … a kind of private-enterprise counterpart, contesting America’s lead, once again, in a different kind of space race. 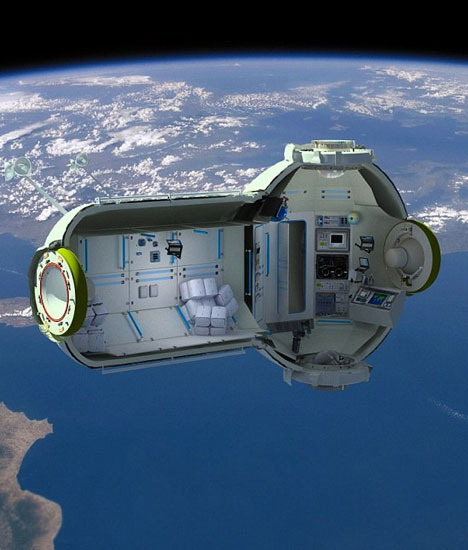 You can bet that it, too, will break more than a few (off-)world records. 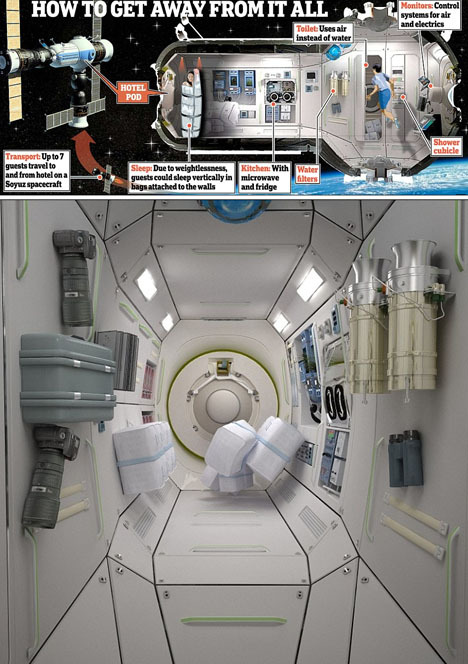 Each section will have horizontal and/or vertical beds (not that it matters much in zero gravity), self-contained showers (instead of the usual astronaut sponge baths) and precooked gourmet meals (rather than bland food tubes) rocketed up from the planet’s surface to be reheated in outer space. By the same token, the guest fridge will feature higher-end beverages including juices, sodas and mineral waters … but for reasons that should be fairly obvious (if disappointing to some), no alcohol will be permitted on board. 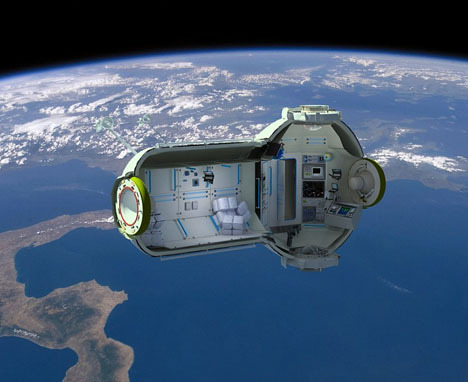 Of course, each group of visitors (up to seven per round) will be accompanied by an experienced crew to help them make their way to and from the pod … but be warned: in an emergency, members of the International Space Station might just drop by for an unannounced stay.